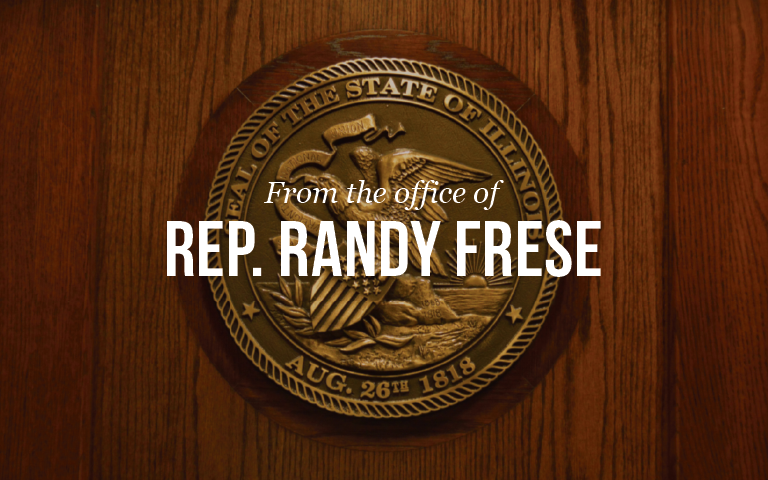 Springfield – State Representative Randy Frese (R-Paloma) commended the launch of a new not-for-profit Illinois Fairgrounds Foundation which will build capital improvements at the Springfield and DuQuoin fairgrounds. Governor Bruce Rauner helped unveil the foundation on Agricultural Day at the Illinois State Fair. The Illinois Fairgrounds Foundation, established by leaders within the agricultural community, will be overseen by a volunteer board representing a diverse cross section of the agriculture industry. In conjunction with the Department of Agriculture, board members will build relationships with private sector businesses and individuals to develop strategies that raise private funding for the State fairgrounds, which combined carry $180 million in deferred maintenance costs. The Illinois State Fairgrounds in Springfield includes more than 170 buildings spanning 360 acres of land, with buildings as old as 124 years. The Du Quoin State Fairgrounds includes more than 20 buildings spread across over 1200 acres of land, with buildings as old as 93 years. Many of the buildings on both fairgrounds are in dire need of restoration, including paint, plumbing, roofing, and structural repairs.